The staff at Central Colourplus are the professionals when it comes to curtains, blinds, carpet, wallpaper and paint for indoor and outdoor areas. If you've got a question about decorating, then the team at Central Colourplus have the training to provide you with the answers. Central Colourplus have an expert staff. Vicki is a qualified Interior Designer from the Sheffield School in New York. Lisa has a wealth of knowledge in Interior design and paint. Maree is a part-time Interior Design and Colour Consultant, who is well known locally and has worked in the industry for a number of years. And Jena our Colour and Design consultant has Visual Design and Textiles expertise. So you can be sure that you are getting the best advice. 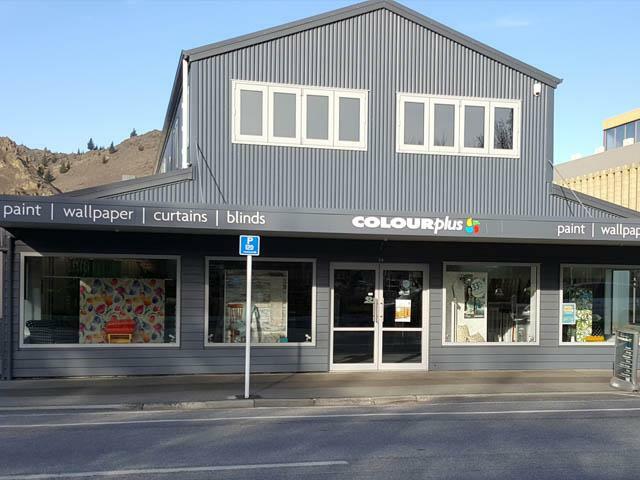 The store stocks an extensive range of products, including the latest designs in fabrics and wallpapers, carpet and flooring plus the Colourplus exclusive range of paint colours. The team pride themselves on creating a warm and inviting place to shop with inspiring displays and suggestions for your homes interior. Grant, Dawn and the team will go the extra mile all over Central Otago and the Upper Clutha to make sure you get a sample of their warm and friendly service. Call into the showroom and let yourself be inspired.